We have an urgent question about Miley cyrus' wedding pictures. Isn't there something missing from Miley Cyrus and Liam Hemsworth's wedding photos? Two days before Christmas while the rest of us were cooking, shopping or lounging by the pool, Miley Cyrus and Liam Hemsworth went and got married in an intimate gathering of family at their home in Franklin, Tennessee. It was some welcome happy news for the couple who recently lost their Malibu home in the November California bushfires. 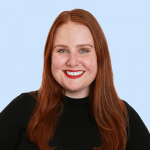 Eight years after the 26-year-old singer and actress worked with Liam, a 28-year-old Australian actor from Melbourne on the Nicholas Sparks film The Last Song in 2010, the couple looked blissfully happy in the few photos they’ve shared on social media. Their relationship has been turbulent, to say the least. They got engaged in 2012, briefly split in 2013 – and Miley released the much talked about song and video clip for Wrecking Ball – and got engaged again in 2015. Despite their ups and downs, the couple’s small wedding looked beautiful. Miley wore an ivory, off-the-shoulder Vivienne Westwood gown from the label’s ready to wear collection, and Liam wore a classic black suit with white sneakers. Their home was decorated with a truck load of balloons and a stunning arch made from roses. Wow! @MileyCyrus and @LiamHemsworth’s home looked so beautiful for their wedding ???????????? Liam Hemsworth comes from a close knit Aussie family of Hemsworths. Most notably, older brother Chris Hemsworth is a mega Hollywood actor, and the eldest Hemsworth brother Luke is also an actor. But the Hemsworth brood were noticeably absent from the many candid images from the wedding shared on Instagram by the Cyrus family, which made us wonder… were they there? Thankfully, some Instagram sleuthing proves the Australian side of the family were in fact in Tennessee to watch Miley and Liam tie the knot. In one video found in the tagged section of Luke’s Instagram account, all three Hemsworth brothers and their dad Craig can be seen doing a shots off a ski together. Hence, they must have been at the wedding. Hmm? Congratulations ♥️????♥️???? The beautiful Hemsworth brothers. + Miley + a cake + Just Married balloons + Mama Tish + Liam’s father ???????? Unlike Miley’s parents Billy Ray Cyrus and Tish Cyrus, the Hemsworth parents Craig and Leonie Hemsworth are less active on Instagram and haven’t shared any photos from the wedding. 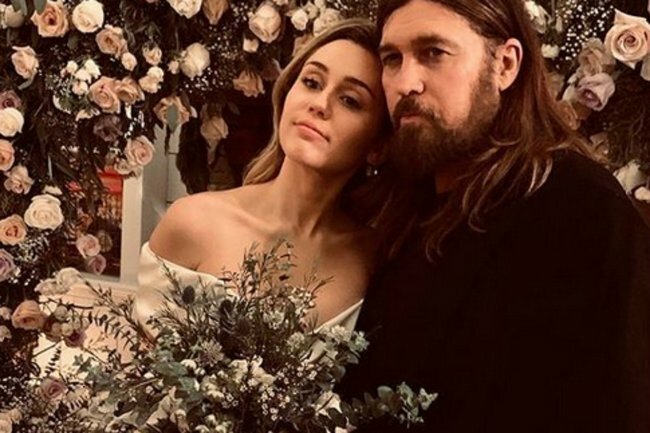 Aside from Billy Ray and Tish, no other family members from either side have shared images of the wedding from their accounts. Although Chris Hemsworth’s wife Elsa Pataky doesn’t appear to be in any photos from the wedding on social media, the Tidelands actress shared videos of the couple’s three children skiing at an undisclosed location, somewhere with lots of snow. Obvs it doesn’t snow in Byron Bay, ergo, they must be doing some post-wedding skiing in the US. Case closed. There is no Hemsworth/Cyrus feud to be worried about. Phew.